Any Video Downloader, formerly known as HD Video Downloader, is a Windows app to help you download videos from YouTube, Facebook, Dailymotion, and thousands of other video sharing sites. It accelerates your downloads by up to 6 times. 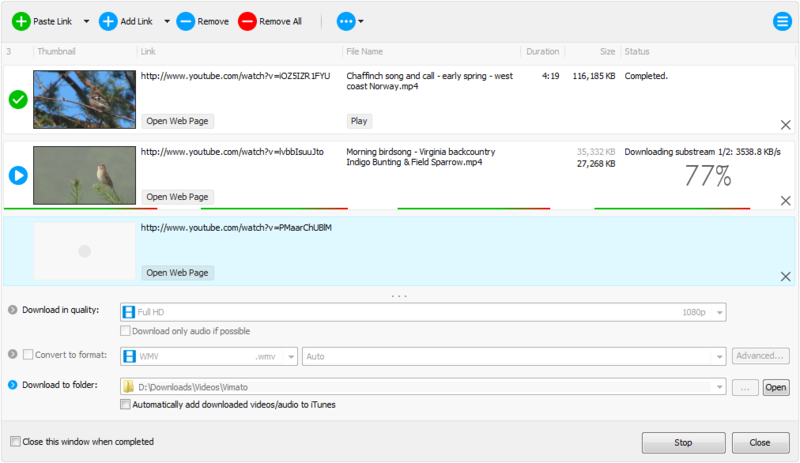 Any Video Downloader can download HD 720p, 1080p, 2K, 4K, and 8K videos from YouTube, Facebook, Dailymotion, Vimeo, and thousands of other video sharing sites. Any Video Downloader can download only audio stream from YouTube, without downloading the entire video file. Any Video Downloader can convert downloaded videos to any format and optimize for any device, so you can watch them on your PC, iPhone, iPad, Android phone, and other portable devices.